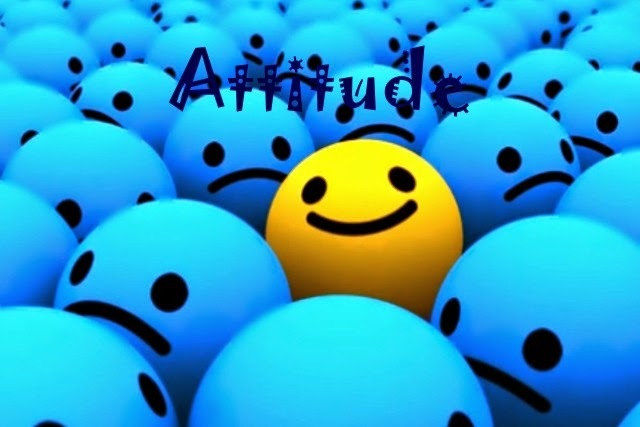 The one thing that can determine our success more than anything in life is Attitude. It determines whether we succeed or fail. This means changing the way you see things, changing the way you interpret things, changing the way you deal with people. Be more open minded, look at the positive side of things, search and find the positive spin on things, look for the good in people instead of just focusing on the negative. Throw out all those negative preconceptions that you have about people, situations and events in your life. Do an attitude check up. The next time you respond to a person or a situation check and see if you have a positive or a negative attitude. If it's a negative attitude you have to change it. This means you no longer pass judgment or think that you know everything. Instead, start considering all possibilities, giving people the benefit of the doubt and focusing on a positive outcome while being ready to learn something new and grow in different ways. History's greatest achievements have been made by men and women who excelled only slightly over the masses of others in their fields. Many times the difference was attitude.The former prime minister of Israeli prime minister Golda Meir once said that "All my country has is spirit.We don't have petroleum dollars. We don't have mines of great wealth in the ground. We don't have support of a world-wide opinion that looks favourable on us. All Israel has is the spirit of its people. And if the people lose their spirit, even the the United States of America cannot save us." Certainly attitude is important to our success in life. Yet, success or failure in any undertaking can more often be traced back to mental attitude. There is very little difference in people, but that little difference makes a big difference. The little difference is attitude. the big difference is whether it is positive or negative. Give yourself the attitude checkup. Begin changing your attitude. Start attracting new and positive situations into your life. Make changes from the inside and you'll being to dramatically improve your life.